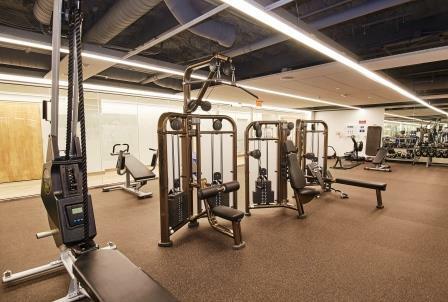 Boston Properties operates a fully equiped fitness center on a 24/7 basis, located in 101 Carnegie Center. 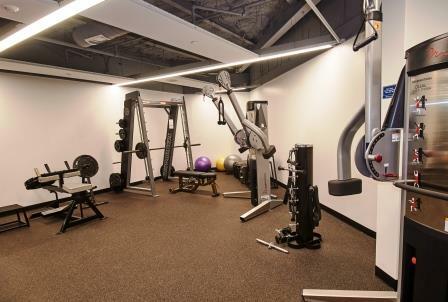 The fitness center is equipped with a wide array of fitness equipment including elliptical machines, treadmills, stationary bicycles, free weights, and benches. Work out to music on our Sirius radio system or keep up to date on the latest business and sports news while watching one of our several flat screen televisions. The fitness center also has Men's and Women's locker rooms, shower facilities and towel service. The best part is that membership is FREE to all Boston Properties Carnegie Center tenant employees! Simply send your completed membership form to the Management Office. Personal training services and group exercise classes now being offered through Jennefit, LLC.